Hula Mai is our taste of Hawaii right here in the town of Sonoma. It's where everyone who has ever dreamed of dancing the hula can learn how; it's where everyone who has ever danced hula before can dance again. 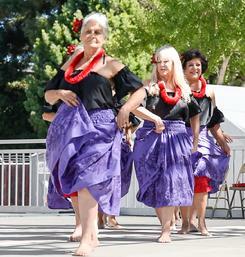 It's where, with practice, dancers can become part of the Hula Mai performing road show. Whatever your Hula experience, you are welcome at Hula Mai. Hula Mai means Come and Dance. We call to you now. 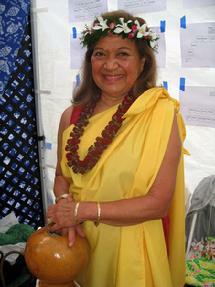 Hula Mai. 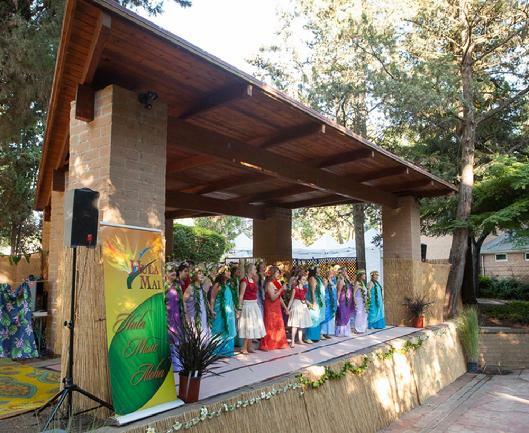 You can view Hula Mai shows by clicking HERE. 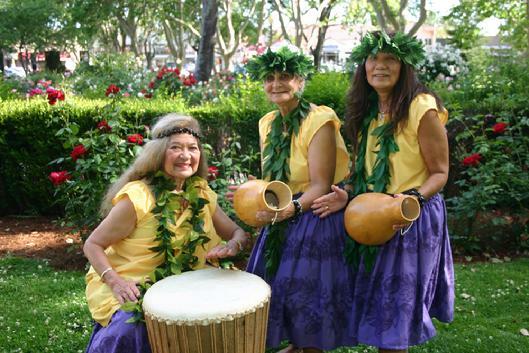 Hula classes are offered on Wednesday evenings and Fridays during the day. For details go to the Classes Page. To register, call us at (707) 938-9051. 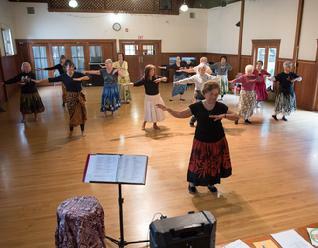 Hula Mai offers classes in both modern and ancient hula. Founder and teacher, Betty Ann Ka`ihilani Bruno, says her goal is to inspire a love for the hula and the Hawaiian culture through knowledge and understanding – and, to have fun all the while. Students are given both written materials and video instructions to help them practice at home. Betty Ann traces her style of hula to hula legends, Ida Namanu`okawa`a Wong-Gonsalves , Uncle Joe Kahaulelio, and Tom Hiona. Kahiko is the old style or ancient hula, danced to a chant accompanied by a drum (Pahu) or gourd (Ipu-heke). Some ancient hulas were taught under very strict rules, and were called 'hula kapu' because they were for ceremonial purposes only, and not entertainment. Thus, they were not available to the general public. That has changed, however, since the 1970's and today Hula Kahiko is widely performed and can be enjoyed by everyone. The traditional costume for women doing Kahiko is the "pa'u." 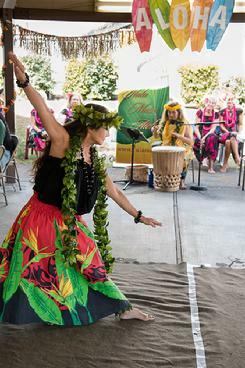 'Auana style hula can be described as the 'modern hula.' It is danced to melodic songs accompanied by ukeleles and guitars, etc. The lyrics are often in English, as opposed to the Kahiko chants which are always in Hawaiian. Costumes for 'auana style hulas can be traditional ti-leaf skirts, or dresses adapted from western styles - the mu'umu'u, holomu'u or holoku. People with all levels of dance experience are welcome. Comfortable clothing is recommended and also a dance wrap or pareau. Put October 3, 2015, down as a super special day for Hula Mai. 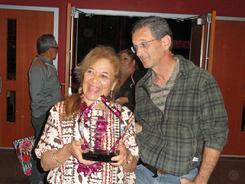 Patrick Landeza presented Betty Ann with a Lifetime Achievement Award, only the second such award he has given out at his Berkeley Hawaiian Music Festival at the Freight & Salvage coffee house and music hall. And check out the the award – a gorgeous piece of crystal on a marble base- along with Dan, Betty Ann's son. You can watch the video of the presentation by clicking on the icon on the right. 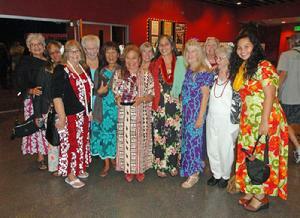 Later, eight Hula Mai sisters joined Betty Ann on stage for I Kona, which Patrick sang in his beautiful falsetto. Click on the icon to the right to watch the video. 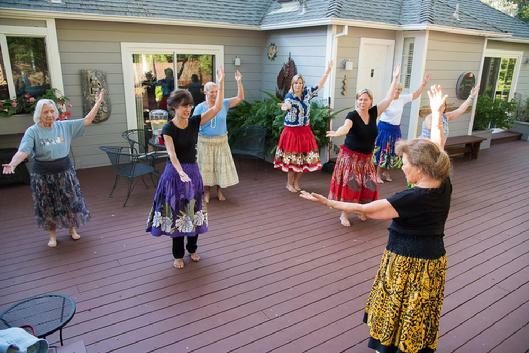 Click on the pdf icon to the right to read the Sonoma Index Tribune article about the award and what Hula Mai means to our sisterhood.